The guys keep complaining that I spend too much time on these comics, so as a punishment they’ve banished me to the tiny computer in the corner. It only has enough RAM to handle three comic panels at a time, and it doesn’t even have colored pixels! 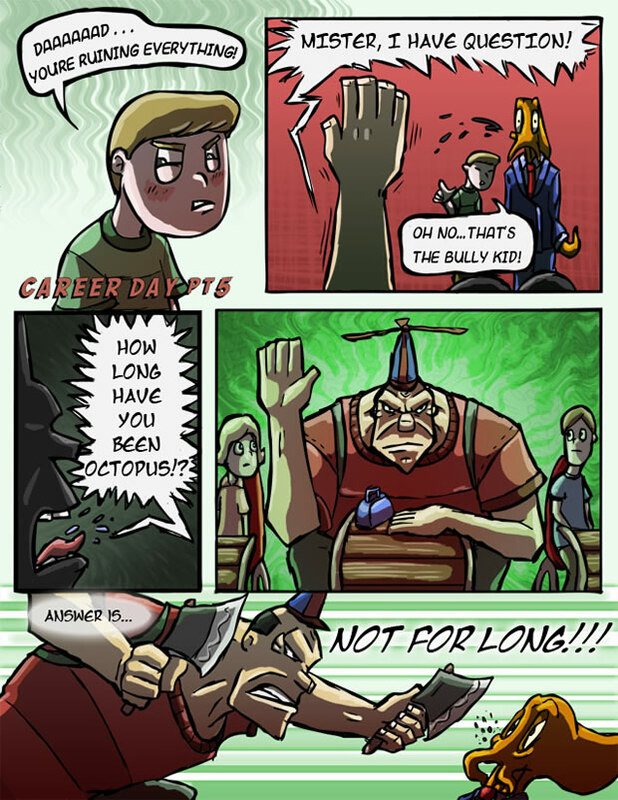 Under those circumstances, here is the ending to the Career Day saga! 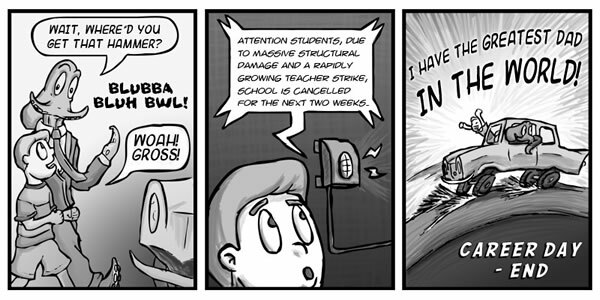 Next week, expect the unexpected, as I finally let other members of the team show off their comic stylings! Thrills! Chills! Medical bills! It’s Career Day! Tune in next time for the ending epilogue. Ok, windows users already got this update more than a month ago, but now all our OS X friends and dads can play the two extra basement levels too. 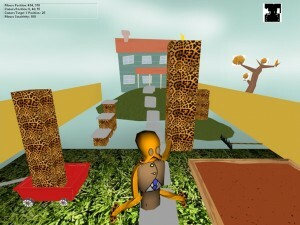 As an added bonus I fixed some rendering bugs that made the game wonky looking on OS X Lion. 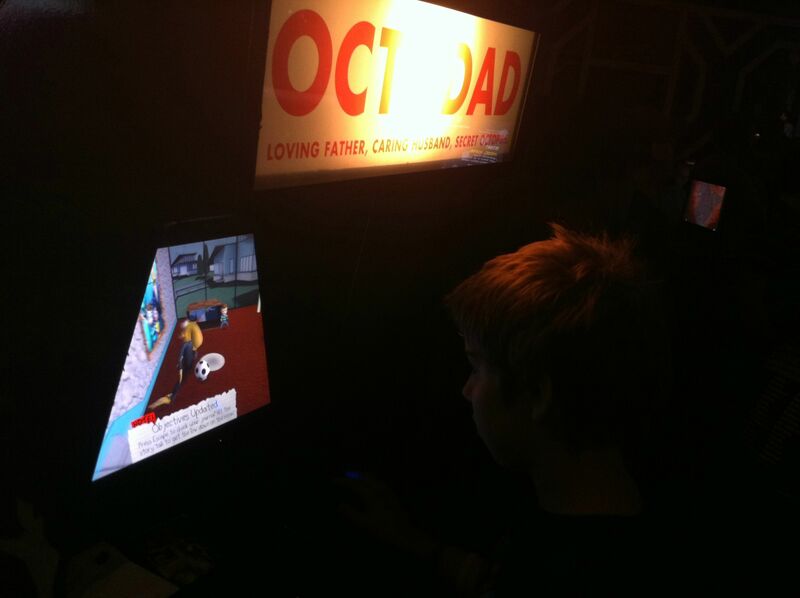 Octodad now supports OS X 10.5.8 – 10.7+. We don’t have a lot of Macs to test on so if you have any issues be sure to email devon at octodadgame.com. 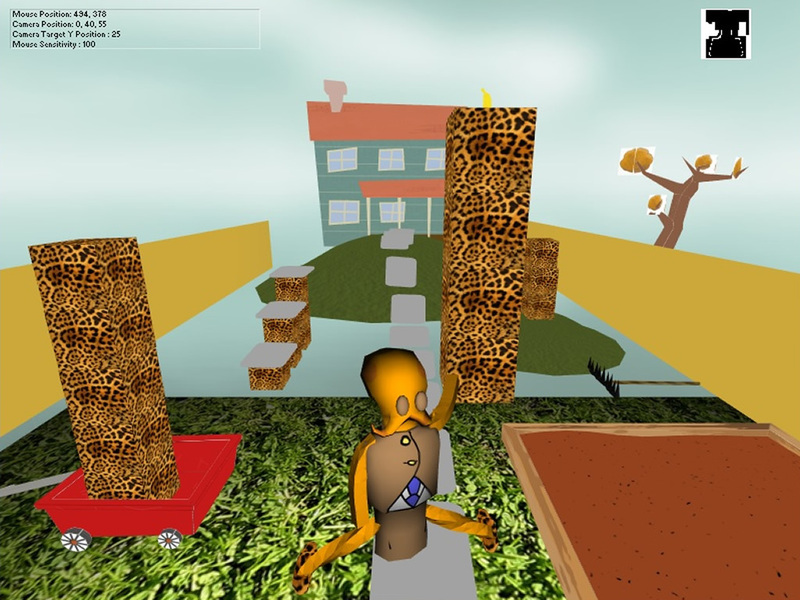 The original Octodad went through a lot of iteration before getting to where it was for the IGF. 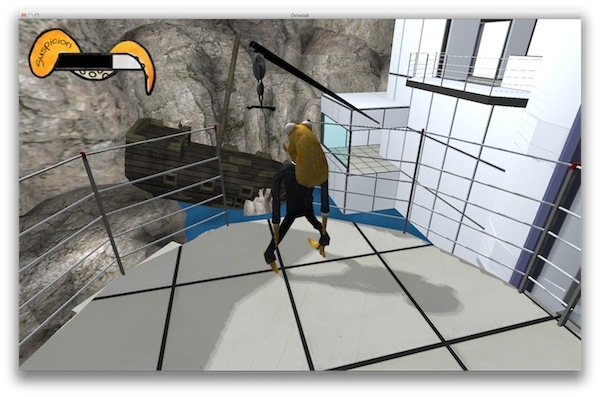 We thought it’d be interesting to share some screenshots of its state throughout development. 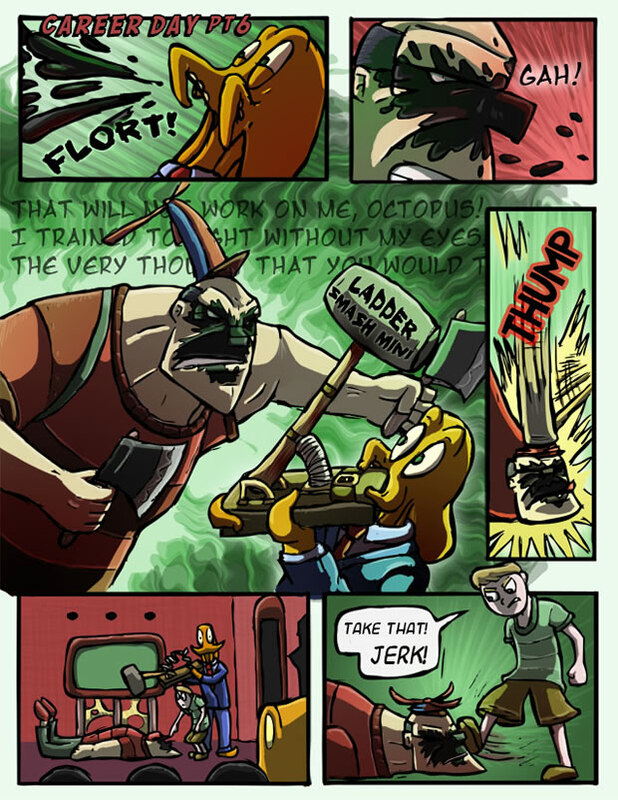 In this comic, secrets are revealed and new conflicts arise. I wonder, has anybody had a career day quite like this?